I'm just popping in with a fun little announcement post! 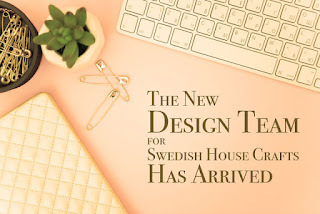 I'm thrilled to tell you that I have been invited to the Guest Design Team at Swedish House Crafts! it's a fantastic little online shop located in the UK. However, items can be shipped anywhere! Suha is the owner, and she's absolutely fabulous! My first Design Team share will be in July! I'm really excited to be sharing a few fun projects with you over the next year! I'm also very happy to be working with a team full of really incredible talent! Head on over and check it all out! Absolutely thrilled to be designing along side you Nancy. WOWZA! A BIG Congrats to you on this exciting news! I'm not familiar but you can bet I'll be 'checkin 'em out' !!! What fun! !